Why Is My Child Unimportant When It Comes To Free Childcare? Before you go on to read this post, I just wanted to take the time to explain that this post is no way aimed at anyone and that in no way I mean to hurt any of my readers feelings. I full well know that everyone in this day and age all live in different circumstances and that no ones circumstances are really the same however I felt I needed to take the time to write this and explain my frustration that I feel so many parents are feeling. For a while now I have been wanting to put Maxwell into nursery, not because I am a lazy parent and I don't want to spend time with him, or the fact that I can't cope with him. Its more the fact that I feel that he needs to spend time with children of his own age and interact with others without me there 24/7. Other reasons I am wanting Maxwell to go to nursery include I hope it may bring on his speech a little and he also may learn new things in a different environment, as well as do different activities which I may not be able to do with him or thought to have done with him. I expect you are now thinking well why havent you put Maxwell into nursery? Well the problem stands that me and Ben have limited funds to pay for Maxwell to go. We are no way poor, we get by. We pay our bills on time, always make sure Maxwell is well dressed and never goes without. There is always food on the table and we always have a warm home but we do not live like kings and we do not have a lot of luxuries in life. We rarely go out, we don't drink and we don't smoke. We do not waste our money and make sure we spread it as far as it will go. 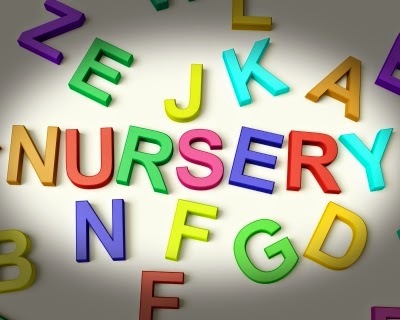 For Maxwell to go to nursery we are looking at around £17 for one morning a week. This is a expense that we can not afford so over recent weeks I have found a cheaper option which would be for Maxwell to go to preschool when he is 2 and half. This works out at around £11 for one morning a week. This is an option which is now looking more feasible for us. We have found 2 preschools in our local area and we are hoping to perhaps look around them next week. The point of me writing this post however is the frustration I feel at the government and how they have allowed certain 2 year olds to get free childcare and others not. To fall into the category of getting free childcare at the age of 2 you have to qualify. To qualify in my local area you have to be on certain benefits which include being on jobseekers allowance and income support, as a working family me and Ben are on neither. My question is why do the government and even the local authorities think its okay to pick and choose who is entitled to free childcare and why do they think that someone who is unemployed is more needy to free childcare when working parents aren't? I can not quite get my mind around the whole situation and I simply think it is wrong. How can these people determine that because we work we are any better off than someone who receives benefits? In my mind they can't. Surely working parents should be getting the help as well? A 2 year old who is entitled to free childcare is entitled to 15 free hours a week... Their parents do not have to pay a penny however if I want to send my child to nursery or a preschool I am expected to find around £60 for these hours which in the end adds up to around £240 a month which is over £2000 a year. Quite frankly I find it sickening and hugely unfair. I know for a fact we do not have this money just laying around and for now there is no way we can send Maxwell to nursery or even preschool for 15 hours a week, we are looking at just the 3 hours instead. In the next few years I really do hope the government and even the local authorities can pull their fingers out and help those working parents who are struggling. Nothing will help me and my family and our situation however I think the government need to take a step back and evaluate how certain things are looked at. I think we now are in the day and age where people should be encouraged to work however these days it seems those working are getting penalised. I feel exactly the same as you! We aren't entitled to free childcare because my husband works and I would love for my daughter to start going when she turns two as I think nursery is an important part of a child's development. I really don't understand why working families aren't given the same opportunity as non-working families. It frustrates me a lot! We will have to look at whether or not we can afford to send her but it is not looking likely. Our little one goes to preschool and loves it. It is a great option. Childcare funding is ridiculously unfair and especially for Summer born children, who do not receive their 15 hours until the Sept after they are free. It is something that really needs to be sorted out so that children are treated more fairly. Nursery fees are such a colossal expense aren't they - to be fair, the fees in your area sound quite reasonable compared to my locality where it's £50 for a day so £25 for half a day. It's such a shame that it's got to this. My son has just received his fifteen free hours - when the bill arrived for the latest month, it was such a relief!! I know this frustration as I can't justify going out to work when I have to pay for childcare for my two, but other parents with no interest in working get free childcare. Your nurserys are a lot cheaper than ours though! It would cost me £26 to put one in for a morning! As a mum to two older boys (now 9 and nearly 8) I feel really strongly that children should not be put into a pre school or nursery environment at such a young age. I can understand why the government do it for people on certain benefits (poorer families have been proven to have a major disadvantage by the age of five). These are the children that are often just left in front of the TV and have never even seen a book (trust me on this as I live in an area where this is true). WHy not look at attending a couple of toddler groups. We used to go to a number run by a local church and they cost less than £1 for a couple of hours. Both boys got to soicalise and have fun. The best place for children ar such a young age is with their family. I was a SAHM when the boys were younger and we had to manage on one income. Life was tough and I wish that things were more financially equal, but there just isnt the money in society today to pay for this. In lots of scandinavian countries school doesn't start till 7 and children have been proven to be happier, learn more and be more settled. Childcare is ridiculously expensive isn't it? I put my two into a nursery for half a day every week even when I was at home with them because I thought it was good for them to be with other children and the mother and toddler groups around here aren't great. They loved it and we were lucky that we had such a great nursery. It also meant when they were a little older and I was back at work, it was much easier for them to deal with being a nursery. When I had my kids there was no such thing as free childcare, or I would have taken advantage of it. I worked full time and studied and it would have helped alot. I relied on family to an extent but more often than not worked all night (own business) and looked after the kids and studied for my degree in the daytime. I'm glad things are changing for the better, and hope a fairer system is established soon. It does seem like they've got it backwards! If you're not working you're there all day to look after your children. If you have to work, you should get the free childcare. Personally I believe they need to go back to no free child care for 2 year olds and keep it to the 3 year old funding only to make it fair on everyone. As you can't say a working family deserves it more over a non-working family and vice visa, if they really want to continue the 2 year funding they should offer the funding to the children who need it most who are delayed, have problems etc to help give them the interaction and help they need and deserve. I did apply to 2 year funding as hubby was made redundant but like you we were refused based on previous earnings! The support for honest working families is dire in the UK at the moment. I am the main income in our house and entitled to working tax credits which means most support we could get to support us is limited due to thei element but I am literally only just on the threshold for it. It makes you wonder sometimes if it really is better to be working. I hope you manage to get something sorted for your little man. I feel exactly the same, my son is 1 and I am having to return to work full time as I earn the most in our household, my husband is out of work anyway for the last 2 years (not on benefits) and we have considered the cost of full time childcare but it is more than he earns (the joy of living in London) so because I earn more the only option for us is for him to remain off work and look after our son full time. 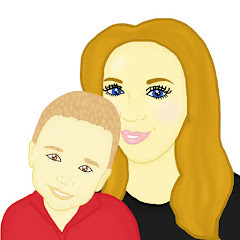 I shouldn't complain because Jem gets to spend time with a parent, but if there was some way of having affordable childcare which would allow my husband to work and me to reduce to part time it would make such a huge difference, particularly if we decide to have a second child.